Its a small lake, the smallest on the Coosa River System. But Mitchell lake is only small in size. It makes up for its diminutive waters with numbers of huge spotted bass and line-stretching largemouth’s, taken each Spring from her deep, weed-infested waters. * Like upstream Lay Lake, Mitchell Lake remains at full pool year-round. 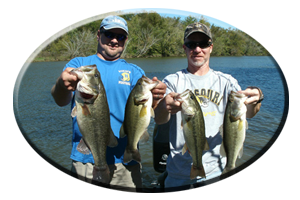 This provides a tremendous weed fishery for anglers to explore, while searching for largemouth bass during the Spring. 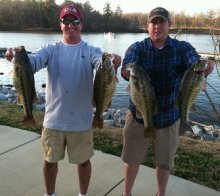 The lakes headwaters and its deep, rocky bluff banks, also provide the perfect spawning habitat for the Coosa River Spotted bass to reproduce in. From midlake, at Higgins Ferry State launch, to the lakes headwaters, are many small pockets. Most of these weed filled pockets and small cuts are situated along the lakes eastern shores. All produce nice catches of bass in the prespawn period. Both species of largemouth an spotted bass, inhabit these places during March, the pre-spawn period. Spotted bass, travel in huge schools along both points leading into these small pockets, all the way to the flats in the far back ends. Most bass are feeding, and on the move, during March. Largemouth bass mix and mingle, with these schools of feeding spotted bass, but some get attached to isolated cover or weed irregularities. 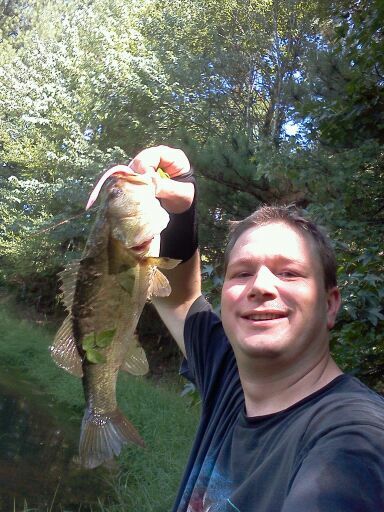 Largemouth’s attempting to bed in nearby flats, prefer ambush spots over schooling with other bass in open water. 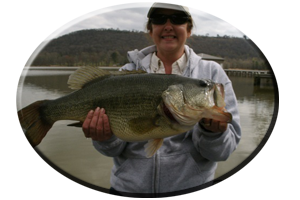 Targeting both the largemouth bass and the ever elusive spotted bass species involves fishing weeds, wood cover, main-lake points, bottom irregularities and scattered boulders or rock cover. Downriver, from Mitchell Lake’s Higgins Ferry state boat launch, the lake widens. Here, Mitchell Lake, has many feeder creeks and is adorned with small cuts, pockets and main-lake flats. These main lake and creek flats are all excellent choices, for finding schools of feeding and spawning bass gathering here during the month of March. * Best Mitchell Lake lure selections for March? This would have to include weedless lures, spinnerbaits, crankbaits, jerkbaits, lipless lures and topwaters. Flipping and pitching jig combos and other bottom-bumping lures, is also a Big Bass tactic in March, for some tight holding bass on Mitchell lakes weed-filled waters. Deep-diving crankbaits, fished in conjunction with Carolina-rigged plastics target bass, most anglers are missing, away from the bank. Try points, ledges, drop-offs along flats, and the upper and lower ends of islands. Bright colored crankbaits in colors of red, lime, chartreuse and yellow, are better seen by the bass in Mitchell’s lightly stained waters. Feeder Creeks, like Hatchet, Weogufka, Pennemotly and Walnut Creek, all have excellent places to search out the spawning bass of April on Mitchell Lake. New growing weeds will draw in the baitfish and create thick, oxygen-rich, ambush spots for bass to take up residence this month. Wood cover within these weeds, always seems to hold one or two dominant, much bigger bass, during the spawn. Look for stumps, laying logs, blown-down trees and brush piles. 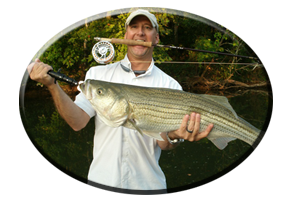 Direct your cast’s past these objects, to bring lures through the most likely strike zone, be ready on the first few casts. 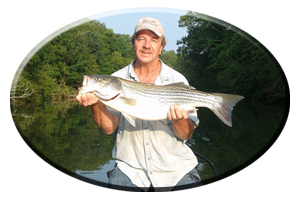 Polarized sunglasses help in spotting beds, cruising bass, and underwater objects that can hold fish. As waters warm, feeder creeks and the backs of major tributaries, will have spotted bass, largemouth bass and even striped bass by late April. Small weedy pockets, often go unnoticed by most anglers, in the backs of these creeks, and some can hold schools of unmolested bass during April. Also check out main-lake and creek flats with washed-in logjams, brush, new growing weeds and stump rows. Buzzbaits and spinnerbaits cover a lot of water fast. Both of these lures are good in and around weeds on Mitchell Lake during April. Floating worms, lizards, frogs, rats, soft jerkbaits and other plastics are also good choices, especially for highly pressured bass, during crowded weekends, in these weed-filled waters. As bass come off the beds, both spotted bass and some big largemouth’s will school together. Some will “bunch up” on the same underwater features and cover stop off spots, that brought them shallow a few months ago. Just like then, these bass have voracious appetites, but now, without spawning activities interrupting them, they go on a major feeding spree. This feeding period will last for months ahead. Bass will continue following schools of baitfish and feeding in rocky areas for crayfish and other edibles this summer. There are many places to begin your search for those explosive, topwater strikes, in the month of May. Main Lake flats, feeder creek flats and the mid-to-far back ends of major tributaries. 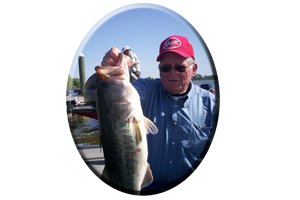 Lake headwaters harbor spotted bass, largemouth’s, striped bass, white bass and hybrids. All of these fighting bass species, offer some fantastic schooling action during May. Both upper and lower lake dams rocks and bridge rip-rap, along with resident-built piers and boat houses are also good in May…post-spawn time on Mitchell Lake.